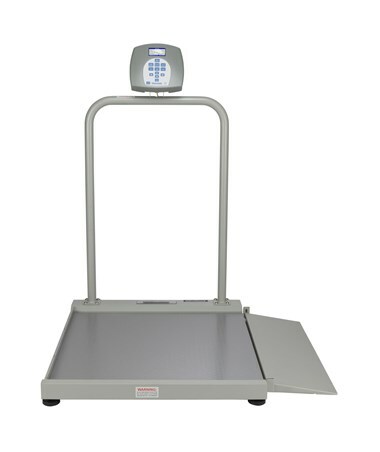 The Health-o-meter 2500KL Professional Digital Wheelchair Ramp Scale is a hospital grade scale that can accommodate patients and wheelchairs of all sizes. Suitable in any medical and hospital setting, for acute care and long term care. It has a new display head with a high-contrast color screen, with a larger keypad and extended battery life. It features a newly-designed help menu can be customized to select features such as audible sounds, on/off timer, and more. When integrated with EMRs or vital signs monitors, it offers multiple methods of connection for a better, more user-friendly experience. 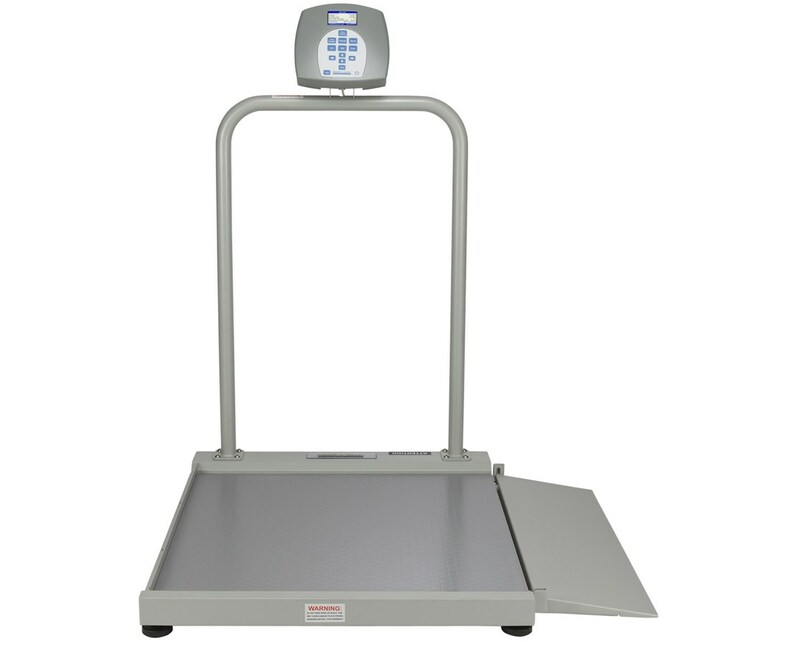 With its EMR connectivity, this ramp scale has the ability to interface with electronic devices via USB. Its durable steel structure and large non-slip platform provides security and stability for wheelchair bound patients. This scale has a Platform Size of 29 3/8” (w) x 28 ¼” (d) x 2 3/8” (h), and a Ramp Size of 28 ¼” (w) x 9 7/8” (d). Some of the functions featured on this scale include LB / KG Conversion, LB / KG Lock Out, Body Mass Index (BMI), Zero, Tare, Hold / Release, Reweigh, Auto Zero, Auto Off, Time/Date, Variable Auto Off Time, and Audible/Mute Sound Option. The 1 ½” High-Contrast Color TFT-LCD Screen has 180° swivel capabilities for easy viewing. Two built-in wheels make this scale completely mobile for added convenience. 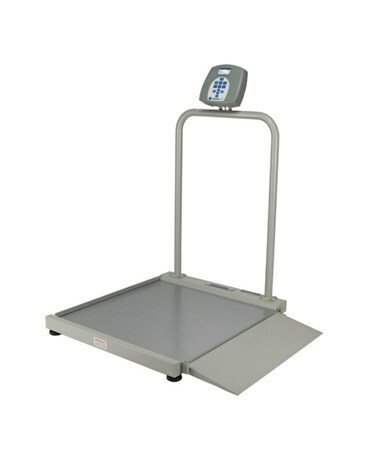 To enhance entry/exit of this scale, the secondary ramp can be purchased by clicking on the Related Products tab above. This scale can be powered with the 120V adapter that is included with this model, or with 6 AA batteries (not included). The 2 year warranty attached to this scale provides assurance that any difficulties you may encounter will be quickly and efficiently resolved . It is also eligible for Optional ScaleSurance 2-Year Extended Warranty. Platform 29.25" x 28.25" x 2.5"
Overall Dimensions 36.75" x 40.25" x 49.43"